Sonam has always been known for her style statements. No matter what movie the girl picks, it is always her clothes that are noticed and nothing beyond that. Enter Neerja trailer! This could probably be Sonam’s “it” movie and a chance to prove her acting prowness. We must say she shines all the way. 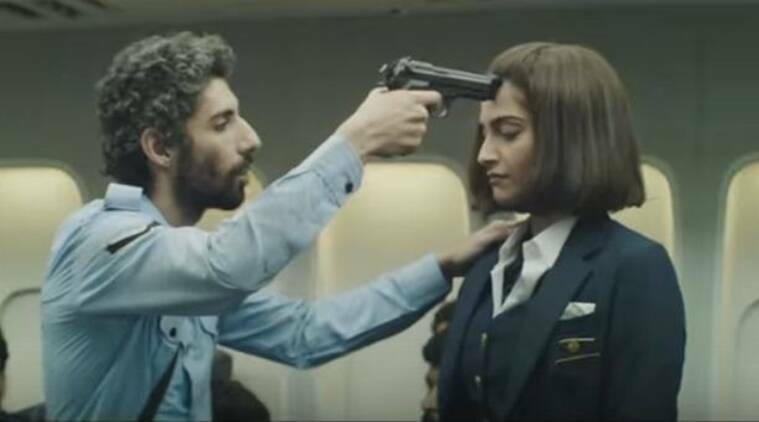 Neerja trailer is a window to a movie that is based on the brutal 1986 hijack where four heavily armed hijackers entered the plane in Karachi. Neerja saved the lives of the passengers on Pan Am Flight 73. The terrorists opened fire and Neerja was murdered in her attempt to save the lives of three children from the open firing. Consequently, the governments of India, Pakistan and the U.S.A awarded her with their esteemed bravery award. Neerja is the youngest recipient of the Ashok Chakra in the country. She was only 23 when she was murdered. Neerja trailer is an invite for all of us to witness the courage of this young girl who gave up her life and performed her duty. She could have saved her own life, but she chose to stay back and evacuate the aircraft. Judging from the Neerja trailer, we are sure Sonam Kapoor has done a swell job. The film seems to be extremely tense given its sensitive subject. The movie is set to release on the 19th of February and we are sure it will receive a lot of appreciation for the quality they have set. The trailer went viral soon after it was released. It has been viewed on repeat and has been appreciated on all social media platforms. If you have given up hope on Sonam’s acting career and don’t take a minute to criticize her; tie your seat belts! This girl is here to stay!